Even though our surf camp is in the Dominican Republic, we are also surfers ourselves and have travelled extensively in the search for waves to catch. Based on our experience, here are our beginner surf destinations worldwide for beginner, intermediate and expert surfers. 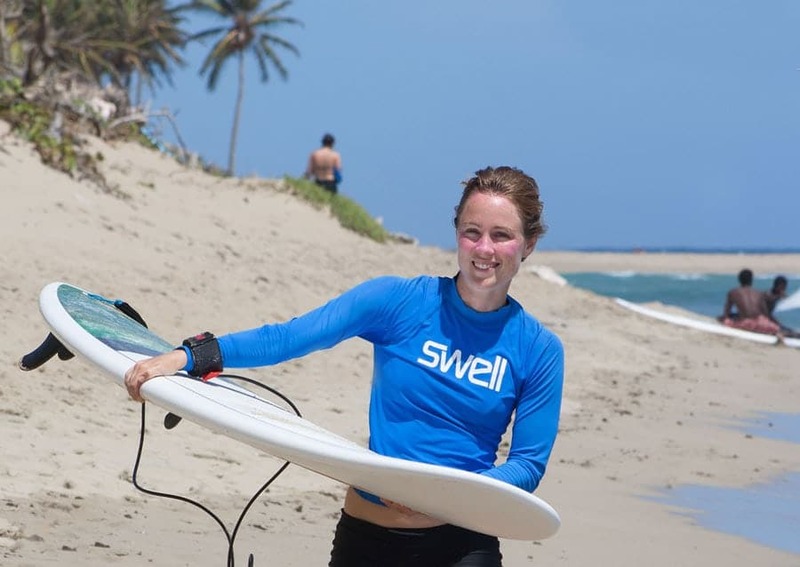 Our own place, Swell, is located on the North coast of the Dominican Republic. We chose this location after having visited many countries around the globe which might be suitable as a place to build a surf camp. Are there waves for multiple levels of surfers? Are there any dangers in or out of the water? To be suitable as a beginner surf camp destination we wanted a place where our guests would be able to surf at least 300+ days of the year. The North coast delivers on this, with at least 340+ days of surfable waves at Playa Encuentro. Of course not everyone is a beginner surfer, so a suitable destination for a surf camp needs to cater not just for complete beginners, but for intermediate and even expert surfers. Fortunately for Swell once again Playa Encuentro delivers; there are multiple waves and different peaks, all within a short walk from each other. From mellow inside beginner waves to big barreling waves on shallow reefs for expert surfers + everything in between. Are there an dangers in or out of the water? Playa Encuentro is a very safe spot to surf or to learn to surf because there are no dangers in or under the water. Tidal differences are minimal so getting injured from the reef bed is almost impossible. There are no dangerous rips or currents at Playa Encuentro, so there’s no danger of being dragged out to sea. Neither are there sharks or other dangerous sea life (for example crocodiles, as seen in certain parts of Costa Rica) so the Dominican Republic scores very highly on this element of our criteria. It also helps having very warm water year-round, so another bonus point is scored there. ‘Highway surfing’ is not a term that surfers want to be using as it means they are constantly on the search for waves, without finding them. Again, the Dominican Republic’s waves score highly on the ease of access criteria; it’s only a journey of 10 minutes to a charming surf beach. Just as with the afore-mentioned highway surfing we also wanted to minimize the travel time for our clients, so we wanted to be close to an international airport. Our location in Cabarete is just 25 minutes from Puerto Plata international airport. Santiago International airport (airport code STI) is one and a half hours away. Santo Domingo international airport (airport code SDQ) is also an option, with buses running north every hour during the day. Because Cabarete and Playa Encuentro tick all the above boxes, that’s where we put our own purpose-built surf camp. We didn’t say anything about the criterias of food, beauty of beaches, additional activities or a party scene, but Cabarete has all of these too, so it remains our firm No.1 even when some other countries might have more ‘perfect’ waves. As mentioned earlier, we have visited more than 20+ surf destinations and countries over the last 25 years. Costa Rica is one of the most popular tourist destinations in the world and surf tourism is also very present here. 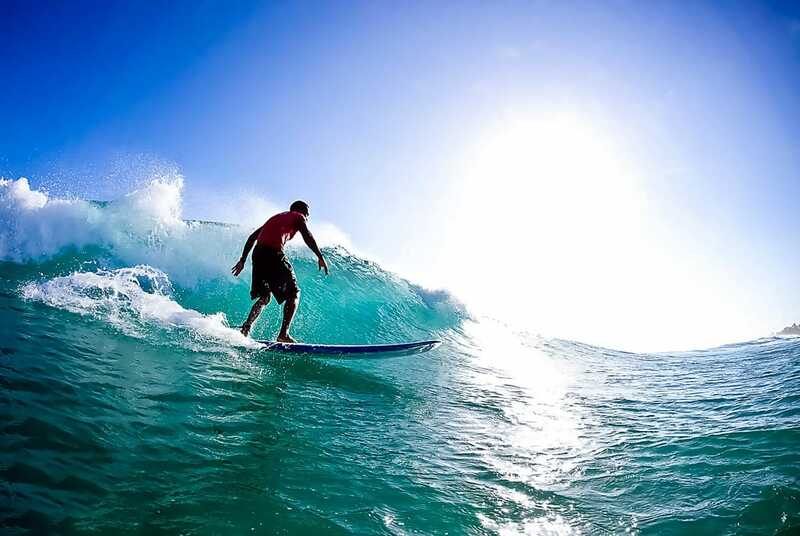 There are some fine surf camps and surf resorts in Costa Rica, suitable for an awesome surf holiday. Nicaragua is less popular than it’s neighbor Costa Rica. Because of political turmoil, tourism only started to take off 20 or so years ago. Hawaii is the birthplace of surfing. Year round warm weather and water and great beginner waves around the south coast of Oahu make it a great place to have your first surfing experience. Very, very crowded in the water leading to well-known local aggression. If you are based in Europe then one of the most popular place where people go surfing is Portugal. The long, exposed coastline with plenty of beaches is very suitable for surfers of all levels. There are 100’s of surf camps and schools so it’s surfboard mayhem at times. Indonesia is widely regarded as one of the most blessed surf countries in the world, with 100’s of world class surfing spots along its many different islands. Sayulita Mexico: A charming fishing village just north of Puerto Vallarta; not super consistent for surf, but when there are some waves it’s great fun. Canary Islands: Off the coast of Morocco are a cluster of islands which are part of Spain. Great winter climate and some fun surf spots. Maldives: Not cheap for a surf trip, mostly boat charters, but pretty water and fun waves. 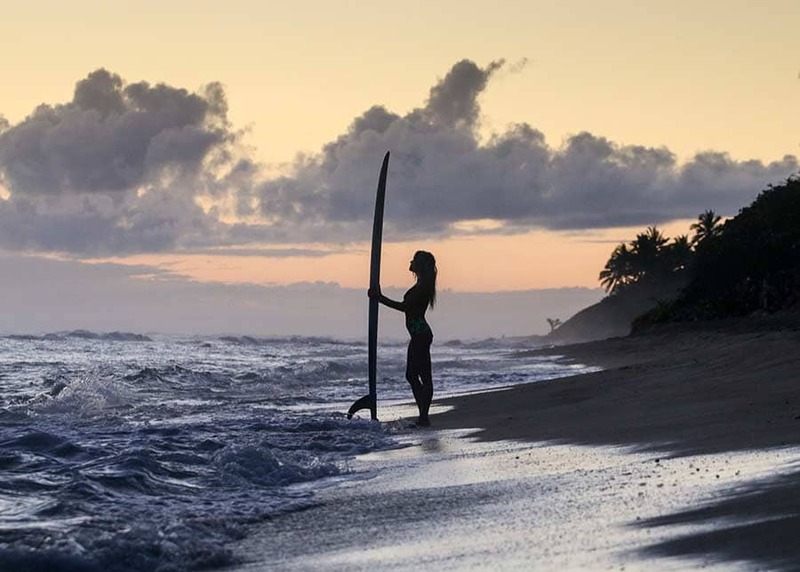 If you have any questions about surfing destinations, feel free to send us a message; normally, we’ve been there and can tell you if it’s suitable for you. If you prefer to come back to us in the Dominican Republic at our Surf Retreat , just send us a message with your dates. Enjoy the waves wherever you go!